When climate hobbyist Andre Beyzaei flies his drone over the North Atlantic coast, he doesn't normally capture much ice on camera. 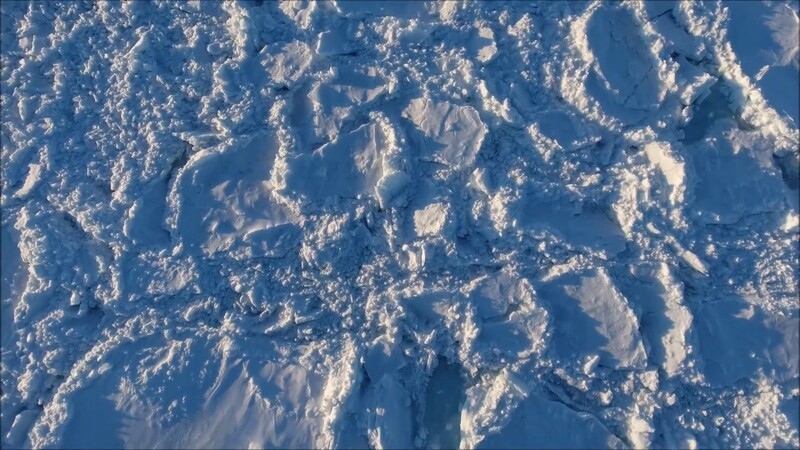 "Usually you see a bit of sea-ice along the coasts and if you happen to fly the drone far enough, you may capture some icebergs much further away," Beyzaei told Global News. So Beyzaei was in for an early April Fool's shock on March 27, when he flew his drone off the Newfoundland coast and recorded astonishing footage of sea ice stretching over Brighton, Newfoundland, Global News reported Sunday. The footage might come as a surprise to anyone who has been closely following the state of the Arctic this year. As EcoWatch reported in March, the Arctic has just experienced its warmest winter on record. Arctic sea ice also reached its second-lowest extent on record this year, just barely inching out 2017's ice coverage to avoid being the lowest year for Arctic sea ice ever. But according to research published in Geophysical Research Letters on March 15 and cited by Global News, footage like Beyzaei's is exactly what you can expect from the impacts of climate change on the Arctic. As the study's abstract and introduction explain, the spring of 2017 also saw increased ice off the Newfoundland Coast, sinking two fishing boats and causing trouble for other ships that had not expected to encounter obstacles at that time of year. The research vessel and icebreaker, the Canadian Coast Guard Ship Amundsen, was redirected by the coast guard to rescue these ships, and used the opportunity to study the unusual build-up of ice. The scientists found multiyear sea ice from the high Arctic among the ice cover. This is unusual, as ice off the Newfoundland coast is usually mostly first-year ice and only lasts from January to May, whereas last year's build-up persisted into June. Beyzaei's footage further confirms their conclusions and suggests another difficult spring for ship traffic in the area. "This is something we need to better prepare for in the future, because we expect this phenomenon to go on for at least a couple more decades as we transition to an ice-free Arctic in the summer," David Barber, the study's lead author and University of Manitoba climate change scientist, told Global News.